Kyle in Action for our U18s. Congratulations from all at Garden Walk to former Crows Under 18’s player Kyle Augustine, who has travelled to the USA this summer to take up a prestigious football scholarship. Kyle has joined Southwestern Christian University near Oklahoma City, Oklahoma. He arrived this month to study and play for the “Eagles” soccer team and continue his community work as a Seventh Day Adventist. Kyle will have the opportunity to combine his University studies alongside playing high level football and training full time for the next four years. The scholarship has been gained through the assistance of PASS4Soccer Scholarships. Kyle is delighted to have secured a soccer scholarship through the PASS4Soccer Scholarship Network. Kyle’s achievement in gaining such a quality opportunity is in recognition of both his academic achievements to date and athletic ability. Kyle took part in a USA Coach Showcase held at Bisham Abbey National Sports Centre in December 2017 to help further their exposure to universities in the USA and those reviewing the video footage online. PASS4Soccer Regional Manager Danny Gibson was Kyle’s previous coach at Royston Town’s U-18’s and he added, “Kyle had a vision from the outset of what he wanted to allow him to play a high level of football/soccer, gain a university degree and continue to follow his beliefs. I am delighted we have been able to find all three in the same university and look forward to tracking his progress. 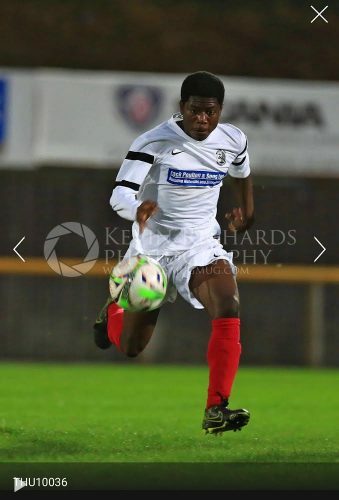 Kyle has received good coaching through Royston Town FC and I know he appreciates the platform they have given him to build the next chapter in his life.”.